B-E-F-O-R-E you start wracking your brains for fresh content ideas, watch this! 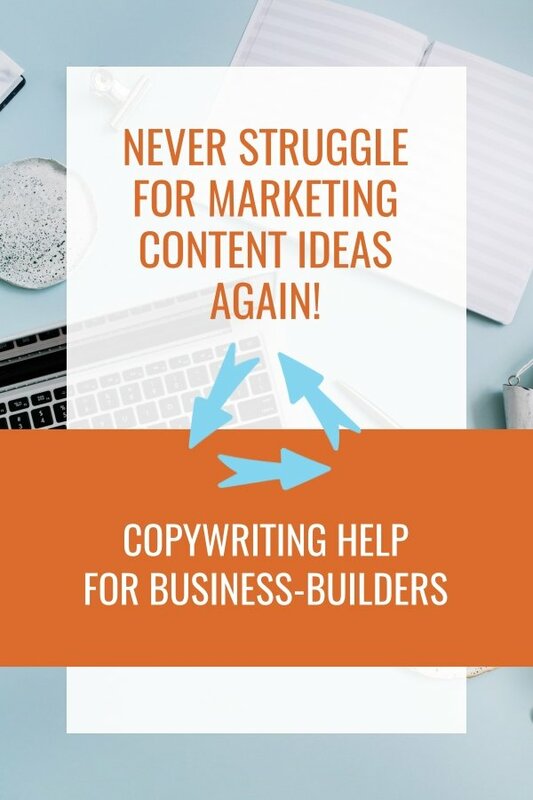 In this video I share with you my secret for coming up with a constant supply of content to market my business (highlights below for the skim readers). In this video I talk about how you can get every piece of content…. well not every piece …but some of your content to work really, really hard. 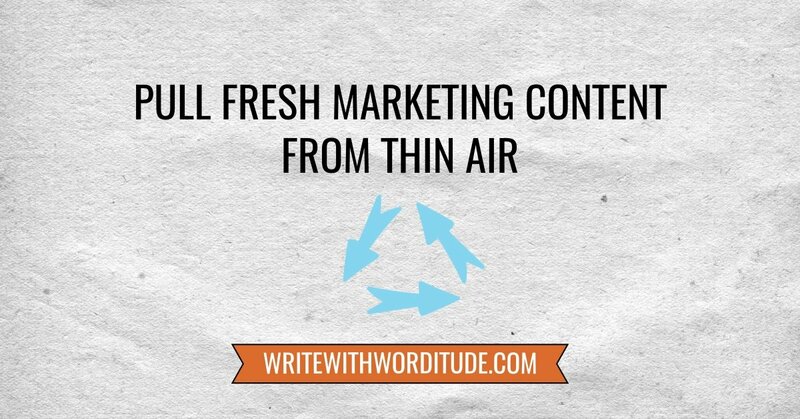 So it looks like you're kind of pulling fresh content out of thin air. * A summary of what's going on in the group or if there's been a new blog post. I'm already recycling content like that by pulling it into a sort of single email and linking out to it to give it a chance to be seen again. And as I look through this list of content I ask myself “Can I repurpose or recycle this content in any way?” And it helps me to just keep creating what seemingly looks like new stuff, but it's with almost no effort at all. Yesterday I did a Facebook Live video about how to get your case studies in front of people - and now I've added captions, uploaded it to YouTube here (helping me get in front of a new audience), and created a new blog post from it. I also added pins on Pinterest for both of those pieces. Not in the Facebook group yet? Get over here! Last weekend I posted in a different Facebook group a picture of a screenshot that showed like I've made over 130 videos and I shared a post about how that amazes me because I was so scared doing videos when I first started out. I wasn't expecting the response I got. It's got nearly 200 likes or reactions, and in the comments I've added some ideas to help people get started with video. I'm going to turn that into a blog posts because the reaction I got from it indicates to me that there's an audience for that content. And then the last piece that I was going to be re-purpose…I answered a question, one of my Worditude VIPs asked me a question in our little private Facebook group about what should she include in her regular marketing emails. I started typing out the answer and it ended up being absolutely massive. So I am going to copy and paste it pretty much as it is. And that's a whole new blog post. I get a lot of feedback that I seem to be everywhere, putting out lots of fresh content - and now you know how I do it! Pick a time each week when you're going to spend a few minutes each week reflecting on the content you've created and think about how you can re-use it for a different audience, either now, or stored in your ideas bank for future use.